Pinterest is an addictive site, especially for women. If a photo from your blog post or article goes viral on Pinterest, you will see a dramatic increase in traffic. How can you, as a content creator, promote the pinning and repinning of your photos on Pinterest so that you get the benefit of more traffic? You can't control whether or not readers pin your images, but there are things you can do to encourage it. Read on for making the most of Pinterest. How you handle the images on your site is going to directly affect your "pinnability" at Pinterest. Use these four tips to enhance your chances of getting pinned. 1. Always include a photo with every post or article. This should be obvious since Pinterest is a site for collecting images, but there are lots of great posts on the web that don't have an image at all. Adding an image to a post should be a natural step in your blogging or article writing. Don't skip it. Content is king. But images are part of that content. These kinds of posts are simply not going to get attention without photos: tutorials, crafts, recipes, DIY, home repairs, repurposing, home organization. 2. Add keyword text or your post title to your image. Even better than borrowing someone's Creative Commons licensed photo from Flickr or Comfight, use your very own image. Don't get scared here. You don't have to take a photo neccesarily. An image can be a graphic rather than a photograph. I love the free backgrounds at Background Labs. Open those with Paint or Gimp and add your own embellishments or text. In fact, for factual posts that don't lend themselves well to a pinnable photo, creating a catchy logo for your post is a great technique. Use some of your keywords or your title on your graphic, and it is likely to be pinned. Look at the example for 22 Tips to Organize your Craft Room. See how the text works well with a vivid image to say exactly what the post is all about? The post is not about buttons. But the buttons draw your attention because they are so gorgeous. The words tell you clearly what this photo is introducing. This is a brilliantly pinnable graphic! 3. Don't link your images. Many blogging platforms default to automatically linking every image to the image URL. Override that default by deleting the link. Your photos don't need to be linked to anything (normally). A reader loves your image, clicks it, and lands on the image URL. The she pins it. Great! You're on Pinterest. No, not great. The image now shows the image URL as the reference, not the blog post where you want visitors to land. Many readers will not be savvy enough to hunt down the original post; others will simply be too lazy. That's lost traffic. There are legitimate reasons to link a photo -- citing the original source of the photo or linking to a product you want to sell, for example. If you truly want that photo to link somewhere, that is not what I'm talking about here. I'm referring to the default setting on most blogging platforms and even in the HTML in photo hosting sites (like Photobucket) which links the photo to a .jpg/.gif/.png URL. For example, you blog at CraftyWalnut.com. Your latest post is about making paper mâché walnuts. Its URL is www.craftynut.com/paper-mache-walnuts. Your most pinnable photo is automatically linked to www.craftynut/com/uploads/49494034.jpg. Your readers love that image, and so they click on it which lands them on www.craftynut/com/uploads/49494034.jpg which they pin at Pinterest. Lots of people at Pinterest see your paper mâché photo and start repinning it. But when someone wants to read your tutorial, the link takes her back to the photo URL (www.craftynut/com/uploads/49494034.jpg) instead of the tutorial URL (www.craftynut.com/paper-mache-walnuts). Sure, your blog is getting some traffic -- to that single image page. But no one is reading your blog post, subscribing to your blog, clicking on your ads, buying your eBook, or following you on Twitter. All they can see is that photo which they already saw over at Pinterest. Moral of the story: Unless you have a deliberate reason to link your image, remove the default link in your blogging platform. 4. Don't let the picture tell the whole story. Remember you want to drive traffic back to your blog post or article. If your photo tells the whole story, there is no need to visit the site for detailed directions, a printable pattern, a list of materials, a recipe, or an explanation. Simple ideas that can be expressed in a single photo get lots of repins at Pinterest, but I doubt they generate much traffic. What a great idea, right? But now that you've seen it, you can do this on your own without ever visiting the blog post. The picture did all the talking. It is getting repinned all over Pinterest, but I doubt that it's garnering the traffic that the photo below is getting. A reader sees this image and the text and thinks, "What? A bracelet made from a toothbrush? That's crazy! How did she do that? I've got to see this one!" And she clicks to see it. This is a perfectly pinnable image. It has text that states what you're seeing. It doesn't tell the whole story. Depending on your niche, you may need to nudge your readers to join Pinterest and begin using the new website. 1. Include a link to your boards at Pinterest and encourage readers to follow you. Pinterest offers logos you can use alongside your normal social media icons such as Google +1, Twitter, and Facebook. 2. Add a Pin It button to your posts. How to do this will vary depending on your platform. Do some research and find out how to add it to your blog or site. 3. 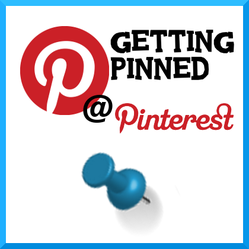 Write a post about Pinterest, explaining it to your readers. I get a lot of hits from Pinterest but never thought about linking back there from an image - brilliant. I'm new to Pinterest and very curious how much traffic it will generate. Most excellent advice and suggestions Jimmie! Thank you for putting it all in one place! Great advice about Pinterest, Jimmie. Thanks! It is always good to have picture from your article on pinterest. This is good way of backlinking, and it also can attract lots of visitors to your article. I love your advices. Very useful! Good and helpful article. Thanks. Great advice! I had no idea about the automatic URL links on photos... good tip! Thanks for the article. I've been confused about how to use the site.